Social Media Pitfalls | SeedX Inc. Most of the pitfalls come in defining the strategy for a brand, so let’s start with your social media strategy. This is the basis of your social media appearance and your approach to your target group. When creating a social media strategy, you always have to consider your current “relationship” status with your customers on social networks. Basically, by identifying the current situation of your brand and perception your customers have on social media and knowing your goals and the future perception you want to achieve, you will have a clean strategic path to real success. If you are an insurance brand which had a stifled and corporate type of communication as well as the other insurance companies, and you want to maintain a friendly relationship on social media channels and get new insurance friends, try with changing your current strategy to a friendly and relaxed approach and communication as a new strategic way to get to them. Start asking yourself who are the people you want to have a relationship with – do you really know them as well as you think? Take as an example a women’s clothing brand – you manufacture clothes for women from 25 to 45 years old. Think about their needs, habits, and behavior patterns – some of them are business women living in the big city, often visiting coffee shops, always on the phone and scrolling Instagram to find new inspiration for tomorrow’s big event. Or they may be mommies who prefer Facebook as a tool for finding interesting maternity and yoga advice. After identifying who they are, you can manipulate and use networks your target group commonly uses, and you will have a great insight into which target group you should focus on, which can help you when targeting ads. Based on their demographic status (age, gender, location) and interests you can give them a proper message or advertise a product that will be tailored just for them. You should also be aware of a trap called “choosing the wrong social media platform”. Allocate which social media platform your target group uses mostly, and adapt your communication to them on these social networks. From our perspective, business people are always on Linkedin seeking for new interesting business, tech news, and new business opportunities, so if you are a B2B company, Linkedin should be a great place for advertising a new job slot in your company or bragging about your new award or achievement. Milennials are overloading Instagram with their photos – so maybe your clothing company this is a place where your brand should post inviting visuals of your new summer collection. Choose the approaches you will have to your customers according to their needs and the social media platform you are using. A health and care brand for babies should always have advice for mommies, to be a supportive friend in the most important period of their kid’s childhood. If you are a tech company working with other businesses, have an informative attitude and always present your competences in your field of work which will help your customers. This way, you will include a persona for your brand which will be recognizable in the eyes of your customers. When you are live on social media, people can easily catch most of the common mistakes brands make. Here’s our advice to avoid these common mistakes. First of all, always be consistent in content creation and posting on your social media. If you want to leave a mark on your fans and get them to remember you, you should know that posting on a regular basis on an obvious timeline and schedule of posts develops their habit of following the content you are serving. Try not to overwhelm profiles and fans with content – from our experience, three to four posts per week is enough to keep the flow of information needed, and your pages will always be clear. Don’t forget to use different types of content! Photos, videos, live stream, GIFs, infographics, film, carousel posts – use all of them when creating a content plan because people enjoy seeing different content on brand profiles. The quality of your posts needs to be on the highest level – always provide high-quality pictures, with a recognizable frame or art direction of visuals, which will ensure that your posts or campaign are on the spotlight. Proofreading is important too – brands often make a typo mistake on a visual or in a copy, so always read twice before you post anything live. As a brand, you are communicating with your posts, sending a textual and visual message to your customers. Differentiating messages (and posts) across your target groups, providing them the right information they want is the key to keeping the interest of your fans. If you are using both Facebook and Instagram, try to use different visuals and copy, as both of these channels have different target groups that you are communicating to. 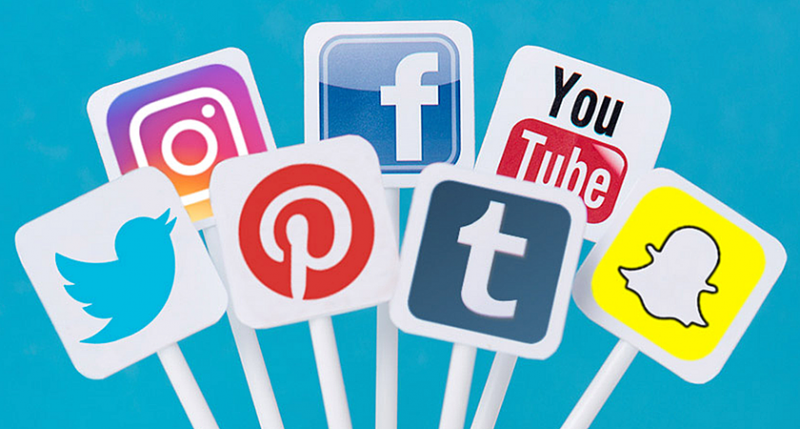 Most brands abuse social networks, treating them as a PR platform where they can post long texts or as a selling platform for constant posting about the products they can buy. From a social media perspective, social media channels have their own purpose – to communicate with fans, provide the information, advice, and entertain them, all in short and modest forms, not repellent to users who already recognize these types of ads and ignore them. Just a little reminder on a textual form – people are used to reading short text, so always keep text minimal and include a link to your website where they can read more if they are interested in that topic. Engaging text with questions will always create a reaction of your target group. People like to be included in a discussion or to express their opinion publicly, so try asking a question that will drive followers to make an avalanche of comments. You can also use a quiz, a contest or a pole to engage them. When a fan leaves a comment, don’t leave him in vain, waiting for the answer – instead, give him a short answer they can be satisfied with – even when they say “Bravo, good job!”, be polite and return back with a simple “Thank you for following us!” This way, you ensure your customer feels appreciated, creating a feeling that you are a brand who takes care of customers. Also, your response time is public on some platforms, Facebook is one example, and people do notice if the brand is responsive on their messages, so try to answer as quick as possible. In due time, there will be some negative comments: do not ignore them – fans will get the impression that you are avoiding the responsibility for your acts – just try to switch communication to the private inbox where you can give an explanation and take the communication to a much more personal level. Also, always have a crisis plan with prepared answers for various situations that you can predict, so you can be ready for a quick answer. As social networks are overflowing in ads and brands, the competition between them is limited with the budget they possess – basically, organic reach is “dead,” and brands are competing with highest investments in sponsored content so that the fans can see their ads in Newsfeed. Always have a dedicated budget for sponsored posts on a social network, covering every post on social media, ensuring your constant presence on social networks. Setting KPIs in your strategy and comparing them with achieved ones can also give you an insight into potential changes you should make in order to get the best results. Follow your insights and how many new fans you’ve earned in last months, your post’s performance – reach, impressions, reactions, demographic metrics. These metrics can give you answers as to whether you need a new creative approach, engagement of users through posts, or are you targeting the right target group.